Our experienced Raleigh family law attorneys and child custody lawyers can help you whether you have a simple divorce or a more complicated child custody matter or highly complex equitable distribution case involving the division of business assets. Having an experienced Raleigh family law attorney on your side can make all the difference. Our Raleigh divorce lawyers have experience with hearings and trials in front of the local judges. You want to have the best family law attorney for your situation. Finding the best family law attorney in Raleigh for your case means more than finding the most aggressive divorce attorney in town or finding the least expensive family law attorney. People often search for the best family law attorney near me or the top divorce lawyer in Raleigh. While it’s important to find a great attorney to help you, the best attorney for one person may not be the best attorney for someone else. Some people prefer to work with a woman divorce lawyer either based on their own preference or how they think the court will feel about the case. Look for a lawyer that is the best fit for you and your case. Find someone that is willing to listen to you and what you feel is important. Our team has decades of combined experience in cases involving divorce and child custody, as well as with matters concerning child support, alimony, mediation, property division, prenuptial agreements, separation agreements, domestic violence, grandparent’s rights, alienation of affection, and trials. When the most important things to you are on the line, you want an attorney who will fight for what is important. When you hire McIlveen Family Law, you aren’t just hiring one attorney, you are hiring a team of family law attorneys, staff attorneys, paralegals, legal secretaries, and others who are all working hard to make sure we get the results that matter most to you. At the McIlveen Family Law Firm we pride ourselves in having a truly top-notch team of attorneys that have intimate knowledge of NC divorce & family law. We have dozens of videos created by our attorneys giving tips, advice and answering questions on all sorts of divorce and family law issues and questions. Schedule a consultation today! You can contact us by phone or by using the contact form. Our attorneys handle family law cases in Raleigh, N.C. and the surroundings cities. Our Child Support Calculator will automatically calculate your child support and allow you to download it in PDF format. High income couples going through a divorce face significantly different issues than those divorces involving lower income couples. Getting divorced is one of the most stressful things a person will ever go through. Hiring a divorce attorney doesn’t have to be difficult. What are the legal grounds for divorce in the Raleigh, NC? There are two grounds for divorce in North Carolina. First, you and your spouse must live separate and apart for at least one year. During this time, at least one of you must intend for this separation to be permanent. Second, one spouse must have incurable insanity and both of you must live separate and part for three years. What are the residency requirements to file for divorce in Raleigh? To file for divorce either party must have resided in the state of North Carolina for six months prior to filing for divorce. How soon can I get divorced in Wake County? In Wake County, it typically takes 90 days to get divorced. Once the divorce complaint is filed, your spouse must be served. After you have served your spouse with the divorce complaint or divorce petition, you have to wait 30 days to allow time for your spouse to file an answer. Provided your spouse doesn’t answer, you can file a motion for summary judgment. Your spouse has to receive notice of your motion and the date of hearing for the divorce. Typically, a divorce judgment can be signed by the judge within a few weeks after the motion is filed. It can take a lot longer if you don’t know where your spouse lives now or if your spouse has moved out of the country. When should I contact a Raleigh divorce lawyer? 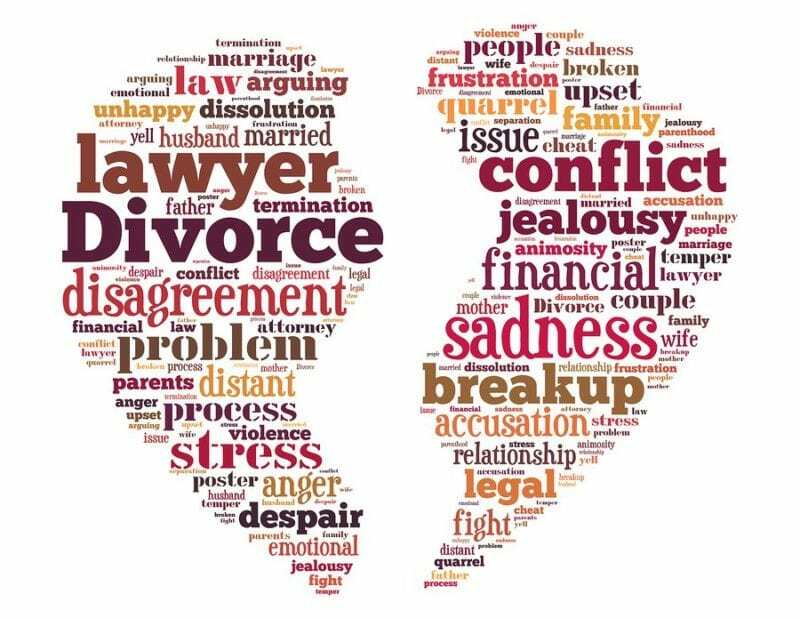 You should contact a divorce attorney before you make any major decisions such as moving out of the marital home or taking the children out of the state. While you technically can’t receive your final divorce decree, until you have been living apart for one year, you can begin the divorce process even prior to your separation. It’s actually very important to speak with a lawyer prior to separating because what you do and how you handle the separation can impact your case. Things like moving out of the house, potentially leaving the state, or how you deal with the kids can have serious ramifications on your case in court. Do I automatically qualify for divorce if my spouse had an affair? No. To be divorced, both parties must have lived separate and apart for at least one year. However, you may be entitled to claim for a special legal separation known as Divorce from Bed and Board and/or alimony based on your spouse’s wrongdoing. Note that a Divorce from Bed and Board does not dissolve the marriage, and so matrimonial bonds still exist. Be sure to talk to a Raleigh Divorce Lawyer before making any decisions. An affair can have damaging consequences for alimony. Where do I file for divorce in Wake County or elsewhere in the Research Triangle? If you reside in Wake County, you will need to go to file a divorce complaint with the Clerk of Court’s office in the Wake County Courthouse. If you live in Durham, Chatham, Franklin, Granville, Harnett, Johnston, Lee, Moore, Orange, Person, Vance, Warren, Nash or another county you’ll need to file for divorce in the Clerk of Court’s office in that respective county. Our Raleigh Family Law Attorneys can file your divorce for you saving you the time and frustration of trying to do it yourself. 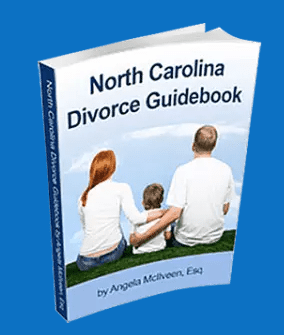 Written by Angela McIlveen the Guidebook is meant to give you an overview of NC divorce law in words you can understand (not legalese). It will explain some options, and in general help you prepare for divorce. Child custody refers to who has the legal decision-making authority for the child, which is often referred to as legal custody and where the child will live which is often called physical custody. Do Wake County family courts prefer moms over dads in custody cases? When it comes to child custody, Raleigh courts show no preference for either parent. It is not presumed that one parent is automatically more capable of taking care of a child. As with all North Carolina courts, custody matters are determined based on the child’s best interests. What factors are taken into consideration when determining child custody? Best interest of the child is the standard that is used by Raleigh family court judges in all custody cases. The best interest of the child standard includes among other things the child’s age and health, the parents mental and physical health, as well as each parent’s ability to care for the child, home environment, the child preference, and the parent’s ability to provide for the child. Can modifications be made to a child custody order? A parent may request the court to make changes to an existing child custody order, provided that the requesting parent can show that there has been a substantial change of circumstances impacting the minor child. A substantial change in circumstances can be found when one parent violates the existing order. Can my child express preference in Raleigh child custody matters? There is no specific age when the court takes a child’s preference into account. Raleigh courts may take a child’s preference into consideration if it believes that the child is mature enough and is of a suitable age to express their wishes. However, the court does not need to take this preference into consideration when determining child custody rights. Contact our experienced Raleigh divorce and family law attorneys today to schedule a consultation. *Reviews are not topic or office specific. Hiring an attorney is an important decision.